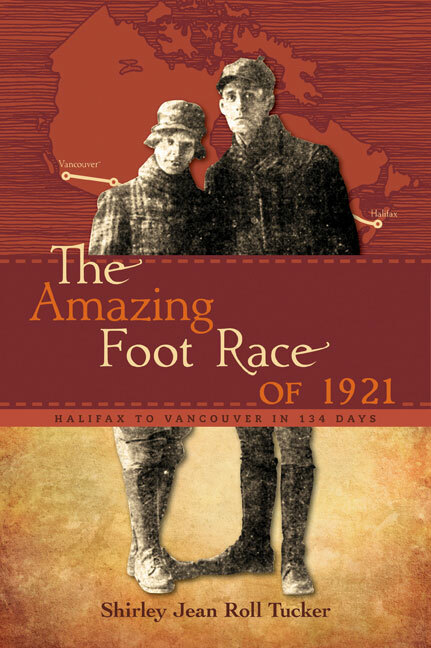 This adventure tale celebrates five Canadians who hiked from Halifax to Vancouver in 1921. For a nation struggling with post-war inflation, labour unrest and unemployment, the 3,645-mile hike was a welcome distraction. Daily reports from the competitors, who followed the CPR tracks, ran in the Halifax Herald and in other newspapers, and it wasn`t long before the entire nation had was caught up in the daily drama of the five hikers. They drew big crowds wherever they settled for the night or shared a meal with locals. Bands played. Crowds cheered. People placed their bets. By the time they were done, all five competitors had turned Canada "walking crazy." Shirley Jean Roll Tucker's lively account of this largely forgotten Canadian sporting event uses the vernacular of the day, with newspaper accounts and the hikers' own words.